Who doesn’t love a unicorn costume? 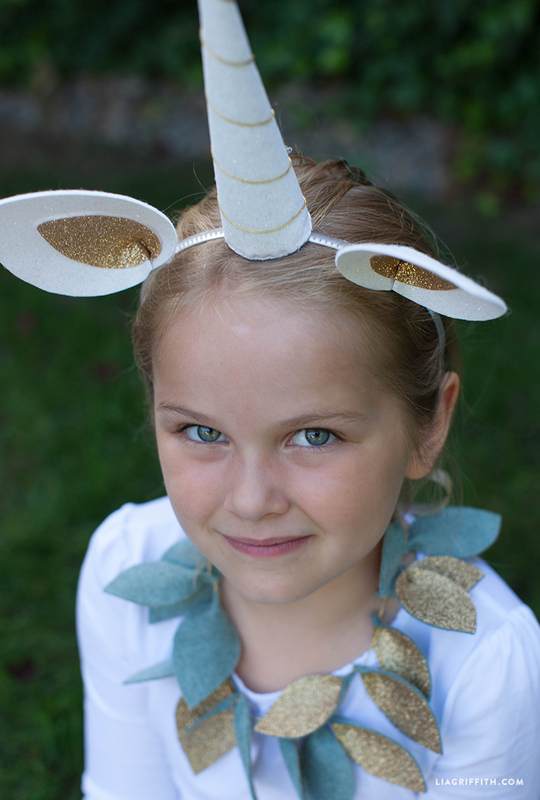 We have been getting giddy over our DIY felt unicorn costume this week – we all want one! 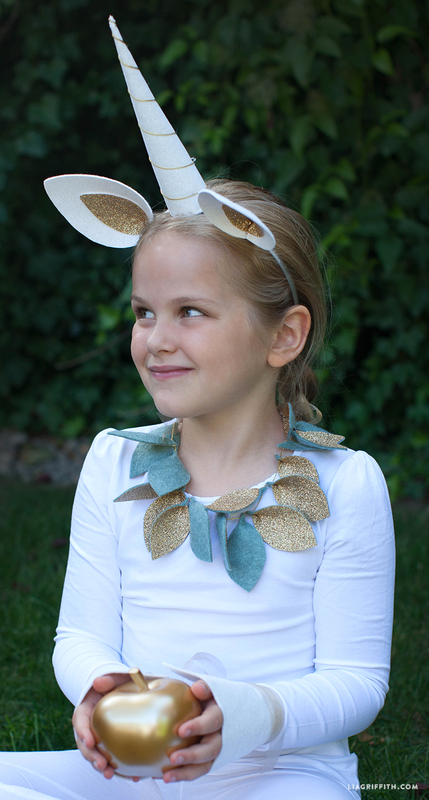 This downloadable pattern includes not just the cute headband with ears and horns, but the glitter leaf necklace and felt hooves as well. It’s a simple DIY project with maximum impact – just how we like our Halloween costumes! Gather your materials, download the pattern and settle down for a fun afternoon of making! You can shop the materials at the foot of this post and follow our tutorial below. We would love to see our unicorn costume out there in the world, so if you use our pattern, please share a picture with us on Facebook, Twitter or Instagram – we will share our favorites! Have fun!